The battle for a Western Conference playoff spot is an absolute dog fight. After Sporting Kansas City, who are currently sitting on top of the West, there is only a four point gap between second place and ninth place. LAFC, Portland, FC Dallas, Houston, Vancouver, LA Galaxy, Minnesota, and Real Salt Lake are all currently sitting together, cramped right in the middle. Out of all those teams, there is one particular organization doing some especially impressive things - on and off the field. In this week’s team breakdown, we are going to take a look at the Houston Dynamo. Houston has managed to do more with less than anybody else in Major League Soccer and people have started to take notice, especially after a very impressive result at home against New York City FC (believe it or not, this article was planned even before that 3-1 win). So, now that eyes are opening across the MLS landscape, we are going take a comprehensive look at just what exactly the Dynamo are doing well and how exactly they are doing it. In order to do so, we are going to start off the field and work our way on to it. Let’s start with the second half of the title. It was entirely predictable and avoidable. Houston fell flat on their face under the dreary command of Owen Coyle, collecting 11 points in 12 games. Under interim coach Wade Barrett, who wasn’t afraid to make big changes, there were glimpses of improvement. With Wilmer Cabrera taking the reins, and a number of intriguing South American signings, can Houston make the jump into the playoffs this season? This game was hideous. Not necessarily soccer wise: Thierry Henry will be fun to watch when he's pushing a walker around on opposing half, and this was a very competitive match, from what I saw. But I couldn't even make it past 26 minutes of this game before I had to give up and turn it off. Between Je-Vaughn Watson's karate kick of Tim Cahill, the referee's less-than-stellar control of the game, and players, fans and coaches alike going insane showing their indignation at every whistle, it was absolutely painful. First, an aside: re-capping the national TV game from NBCSN is next to impossible, but for a good reason. Kyle Martino on the broadcast team does such a fantastic job breaking down the tactics of the match, that it's incredibly difficult for me to pick out anything that hasn't been said yet. So I'm going to just roll with something he mentioned, and that Matthew Doyle also mentioned in his weekly column. One of the major differences between KC and Columbus is Matt Besler's ability to switch the field of play with one ball. It's an ability that led straight to the first goal (buildup pictured above according to Opta), and it's one that USMNT fans have to hope pays off in the World Cup. Columbus, for all their admirable qualities, don't really have a player with the quality to hit that ball. Federico Higuain can do it, and Wil Trapp will from time to time, but with SKC if it isn't Besler switching fields, it's Graham Zusi or Benny Feilhaber or Seth Sinovic. All in all, they're just a more complete team at the moment. There's one other really big difference between the Crew and Sporting KC that spells out why Columbus doesn't measure up, at least not yet. Jairo Arrieta plays as a lone striker for Columbus. This probably isn't the greatest role for him, because he's at his best when combining with others. Sometimes this works well with him and Higuain, but sometimes (like Sunday), he ends up isolated and completely ineffective. Seriously, his action that was closest to the goal against SKC was still about 30 yards away from the endline. 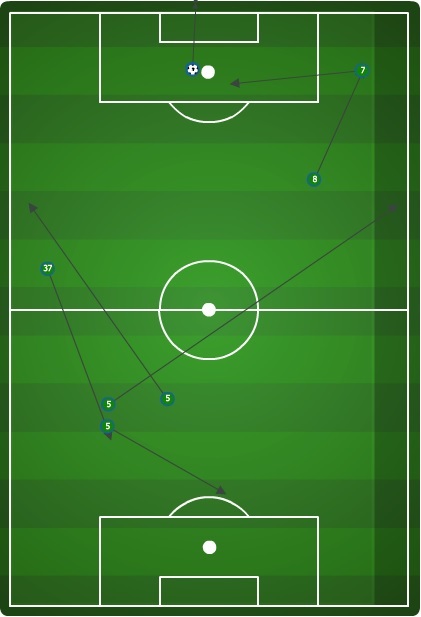 The Crew did have some solid moves, generally involving Josh Williams overlapping and sending in a dangerous cross, but the lack of a quality striker really did Columbus in. 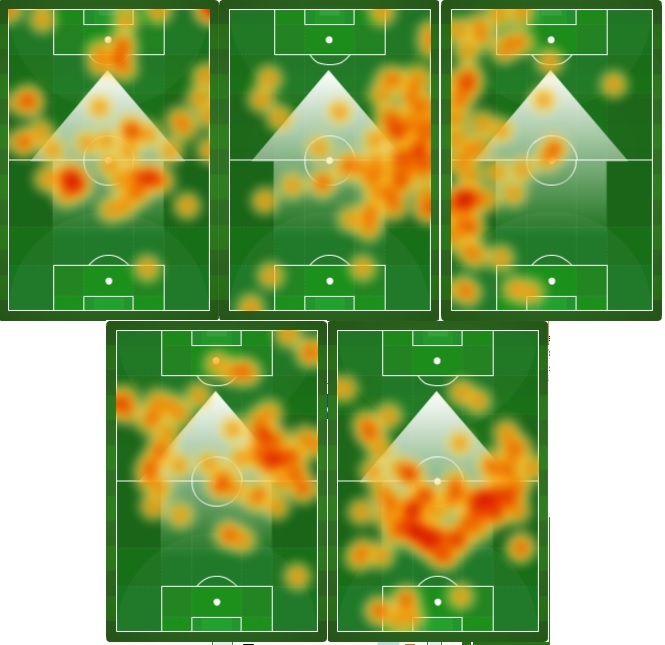 I'm gonna play a little trivia game here and see if you can guess which heat map belongs to which midfielder from Sunday's game for Houston. The telecast called Dom Kinnear's formation a 4-3-3, but it looked a whole lot like a 4-1-4-1 to me, taken straight out of Jay Heaps' playbook from last season. 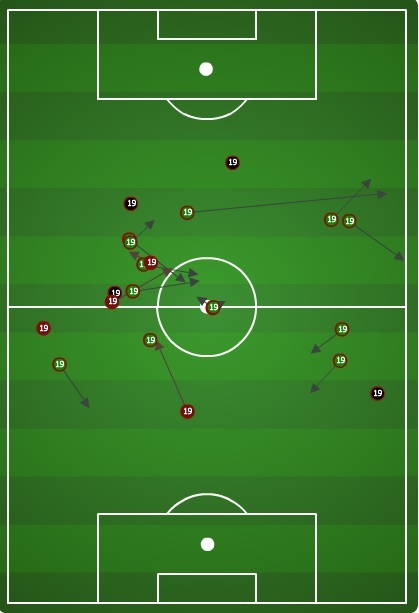 I really liked the move: the Dynamo have multiple midfielders who can tuck in or pose a threat out wide, and Giles Barnes and Will Bruin just haven't worked well together up top. 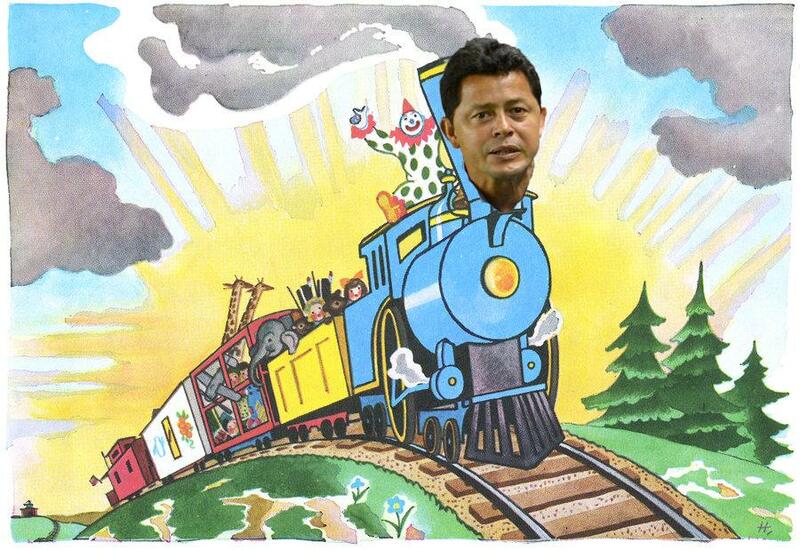 So, might as well drop Barnes into the midfield. It was only Chivas, but the early returns were pretty tough to argue with: the midfield dominated every facet of the game from winning balls to creating chances. We'll see if the Dynamo stick to the formation, but I liked the innovation from Kinnear. By the way, the answer from top left to bottom right: Davis, Garcia, Driver, Barnes, Carrasco. I've written about Chivas a few times in recent weeks, focusing mostly on the midfield. Against the LA Galaxy, they got run over and never stood a chance. Against San Jose, they held their own and really made it a game (seeing the Quakes' struggles against Vancouver this weekend makes that seem like less of an accomplishment). Against the Dynamo on Sunday, it was back to getting run over. The five midfielders put together a total of 19 recoveries + interceptions in the first half, but 16 of them were in their own half and the other three were miles from the attacking goal. Basically, the Goats couldn't make up any ground and just got pushed around by the more talented Houston midfield. On the bright side: the second half started better, until another goalkeeper red card finished off any Chivas hopes at a comeback.